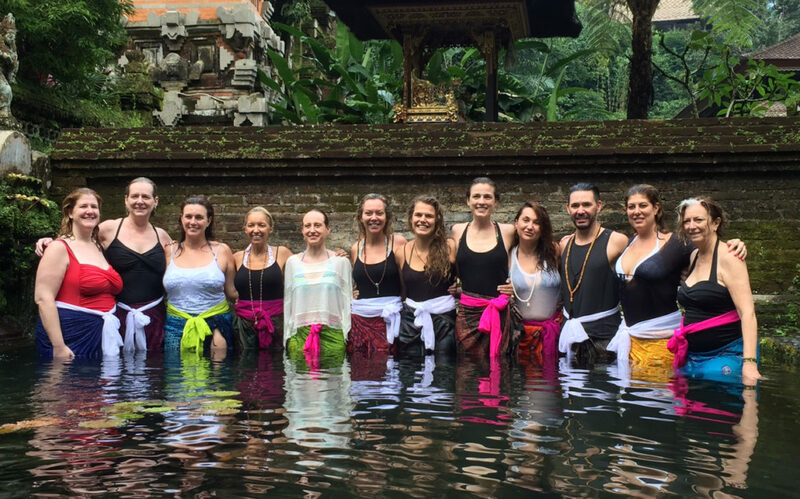 Alchemy of Yoga Teacher Training is wholeheartedly dedicated to the art of self-discovery through SELF-study. Consider this the ultimate adventure! A Hero’s Journey that will both challenge and encourage you to embrace your potential and awaken your inner power. This training will transform your fears, ignite your passion whereby happiness is again realized as your natural alchemy. 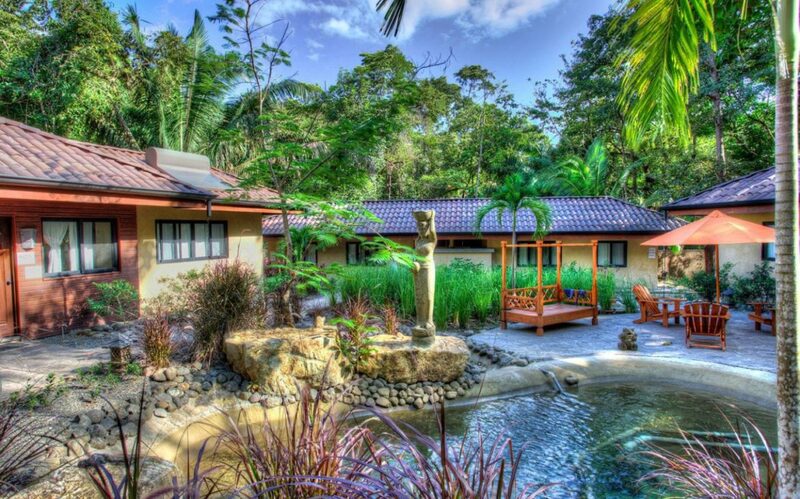 Upon completion, you will be prepared to design and confidently Mindful Vinyasa, Hatha and Restorative classes, all with your own signature style. You’ll also have the skill to adapt to varied fitness and experience levels of your students. You will graduate as a Happiness Ambassador ready to Teach Peace and effectively inspire others! It transforms us on three levels: Physical Alchemy, Spiritual Alchemy, and Mental Alchemy.Ancient Alchemists, like their Yogi counterparts, saw all of creation as composed of Earth, Water, Fire, Air, and Space. Through their meditations and explorations of these five elements, they created healing and transformative potions that unlocked many of the mysteries of the universe and therein contributed to the evolution of humankind. For us as Alchemist Yogis, our laboratory is our mat and the ingredients are our bodies, poses, breath, and thoughts. Mixing it all together changes your life. You are transformed into a Peace Leader, leading a Happiness Revolution and changing the world! Physical Alchemy – Tapas To ignite the changes we want to make in our lives we must geta a solid foundation. Traveling through the elements we work our way through the first three chakras Mulhadara (1st chakra), Svadhisthana (2nd chakra), Manipura (3rd chakra). Spiritual Alchemy – ishvara pranidahana. As we are doing and watching, we let go of the ego of judgement. We move beyond wanting life to be different and begin to feel the surrender and acceptance of the natural flow of the present moment. We understand that there is no reason to stop this flow for its natural current is to align with the current of grace that is everywhere outside us. Beauty becomes our way of life. Happiness becomes our natural alchemy once again. (Vishudha 5): Communicating our wisdom learned from the heart with clarity and truth. To open the heart and surrender to love we must have a strong knowing of our truth. (Ajna 6): We open up through the third eye in order to sink back as the observer of our being. As we do this, all negative thoughts and egoistic tendencies dissolve and we return back to stillness, happiness and love. We surrender to the guidance of our inner wisdom and know that all the answers we seek lie within us. You see when you get together in a Teacher Training Tribe (aka Alchemy of Yoga) we are all like the Alchemist in his/her laboratory mixing ingredients. For us as yogis our laboratory is our mat and the ingredients are our bodies, our poses, our breath, our thoughts and the mixing it all together creates a different result every time. 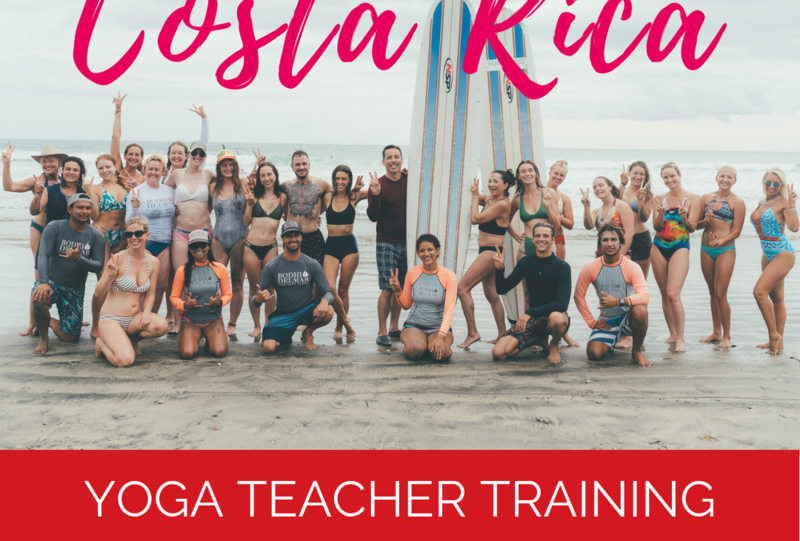 This Teacher Training Program changes your life. You wake up to the power you have to go into the laboratory of your life experience and mix the potions you want to create your Happiest existence! I am an adventurer. A hero and a heroine. The prince and the princess. Ala “Sleeping Beauty” I’ve kissed myself awake. I drive myself home. 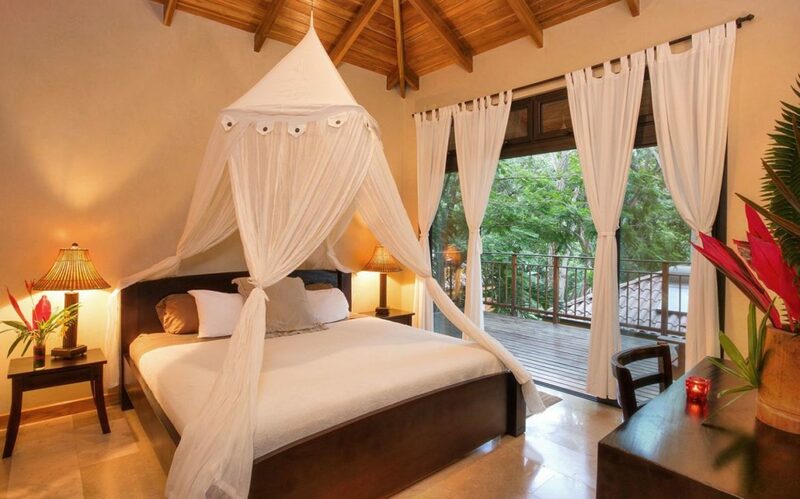 I travel solo. I’ve owned multiple homes since I was twenty-three years old. I am an independent woman. I am a risk taker. I make the grand gesture. I’ve risked it ALL for love. I don’t hold back. I leap with both feet in. When I wake up I say YES to life and recite my mantra “this is the BEST day ever.” I do not edit the full expression of the pose on the mat or the fullest expression of my life. I embrace it ALL. I teach others to do the same. To say YES to the ultimate adventure. 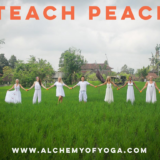 Thirteen years ago I even founded a School to teach how to say YES to being yourself, the ultimate hero and heroines journey, I named it Alchemy of Yoga. With over 11,000 hours of yoga teaching experience I make yoga approachable and inspiring for everyone. My focus is on bringing more fun to yoga with the hope that how we practice our yoga becomes how we live our life. As an Experienced Yoga Teacher (E-RYT) and a lifelong singer, dancer, poet and adventurer, my style of yoga is Bhakti infused Alignment based Vinyasa flow. I’ve been teaching yoga for over 15 years. I have a 13 year Human Resource career and I am a successful serial Yogapreneur. 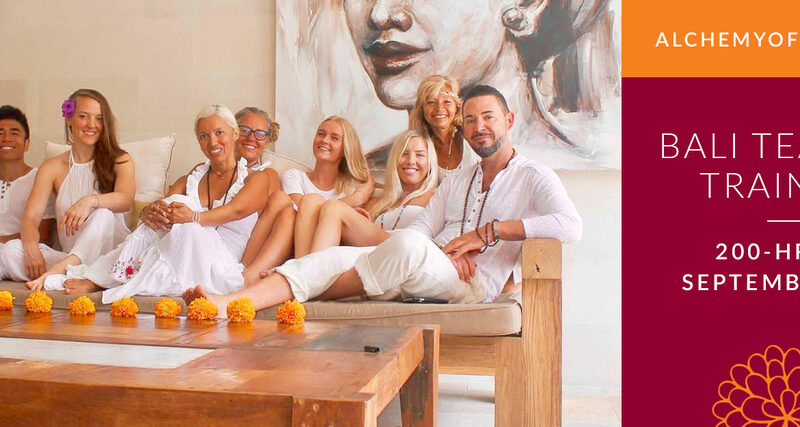 I owned 2 Yoga Studios for 10 years with over 9,000 students, founded Alchemy Tours, a Spiritual Adventure company and developed the 13 year old international Alchemy of Yoga Teacher Training School with 26 graduating classes of Love Alchemists. Most importantly I’ve been a dedicated student of yoga since being in a hit and run and experiencing the “alchemy of yoga” to recover physically and emotionally. This life changing accident transformed my mind, body and soul. My best teachers are Great Spirit, my pain, my joy, divine love, sunshine, soft baby grass, and the blessed waters that fill our rivers and oceans. I have studied with today’s great master teachers both names you know and those you don’t know for over 1,000 hours. My beloved Shiva/Shakti Teachers in no particular order include, Gloria Latham, Shiva Rea, Saul David Raye, Anusara, Sianna Sherman, Noah Maze, and Rod Stryker. I am a dedicated student of Rajanika Tantra believing that we all share the dharma of love and the fastest way to love is to meditate. 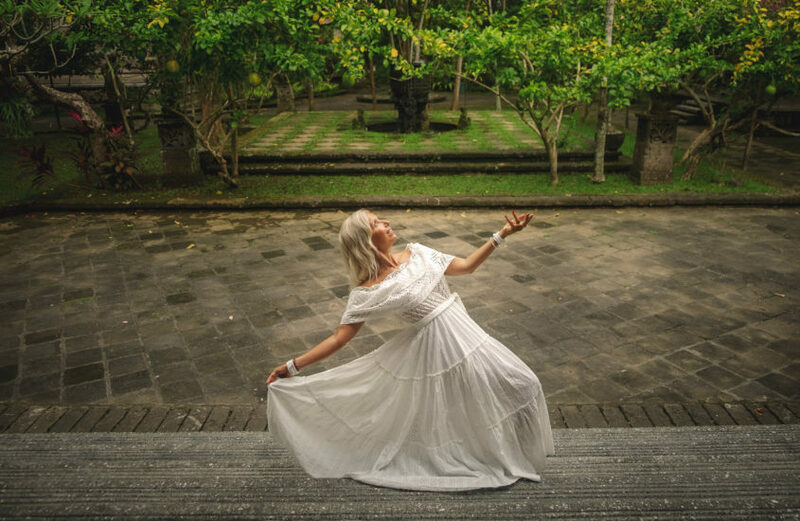 My classes holistically integrate various styles of yoga, primarily Vinyasa, Kundalini and Anusara, where transitioning with elegance while we flow with the breath and wisely align the poses to our own unique bodies cultivates embodiment and connection to our highest potential. Look for my upcoming book “Happiness Prescriptions,” read my popular blog called Love Your Life (named one of the top Yoga blogs for 2015), along with enjoying my “Loving Your Day” YouTube channel. 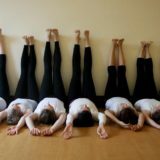 My articles appear regularly in magazines such as Mantra Yoga and on various yoga sites such as MindBodyGreen, Yoganonymous, GaiaTV, Daily Cup of Yoga, and I am is the author of the The Alchemy of Yoga blog on DoYouYoga.com. Connect with her on Twitter/Instagram @inspiredyogagal on Facebook.